What is cabling and bracing? Cabling and Bracing is the installation of flexible steel strand cables and braces in trees to reduce stress damage from high winds, heavy foliage and the heavy weight of ice and snow. 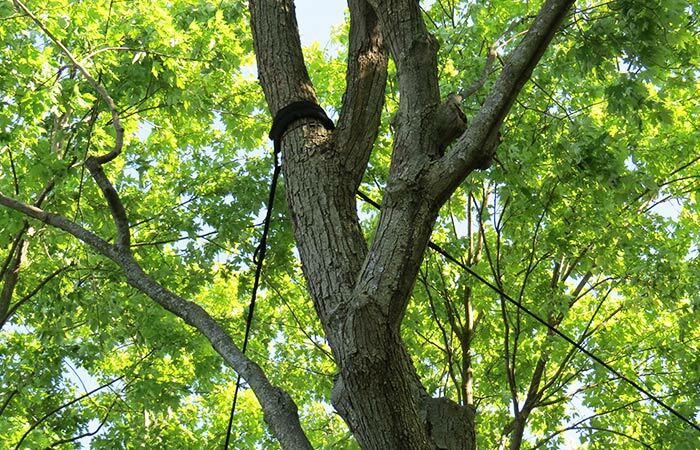 As certified arborists, our goal is to help strengthen weak branches or limbs so that they are better able to withstand severe weather and to improve their longevity and reduce potential risk.